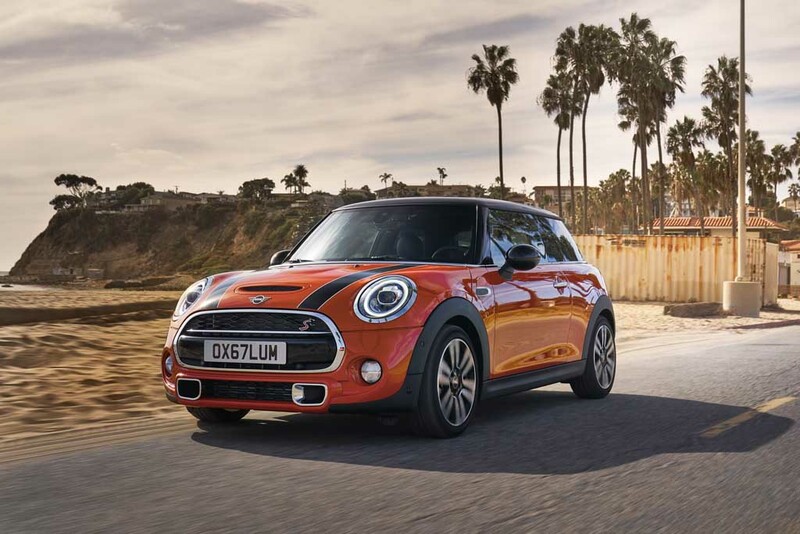 Mini has introduced new versions of the Cooper S Convertible, Cooper D three-door, Cooper D five-door and Cooper S three-door in the domestic market. The petrol three-door Cooper S costs Rs. 33.2 lakh while the Convertible S is priced at Rs. 37.1 lakh. The three-door diesel, on the other hand, is sold at Rs. 29.7 lakh and the five-door at Rs. 35 lakh (all prices, ex-showroom). The exterior changes accompanying the 2018 MY refreshes are new set of fog lamps, glossy black enlarged grille, updated LED Daytime Running Lights, bigger LED tail lamps with traditional Union Jack design and newly designed wing mirrors among others. The petrol-spec versions adorn a piano black finish as an optional extra by replacing chrome surrounds on grille, headlamps and tail lamps. The British manufacturer has introduced three new metallic colour options into the updated range such as Emerald Grey, Starlit Blue and Solaris Orange. There are several interior and feature modifications made on the new series including piano black finished doors and centre console, new three-spoke steering wheel with mounted controls, seats finished in brown leather, optional ambient lighting in 12 colour options, etc. From the options list, customers can choose an updated 8.5-inch touchscreen infotainment system over the standard 6.5-inch unit with 20 GB internal memory, optional panoramic roof and so on. 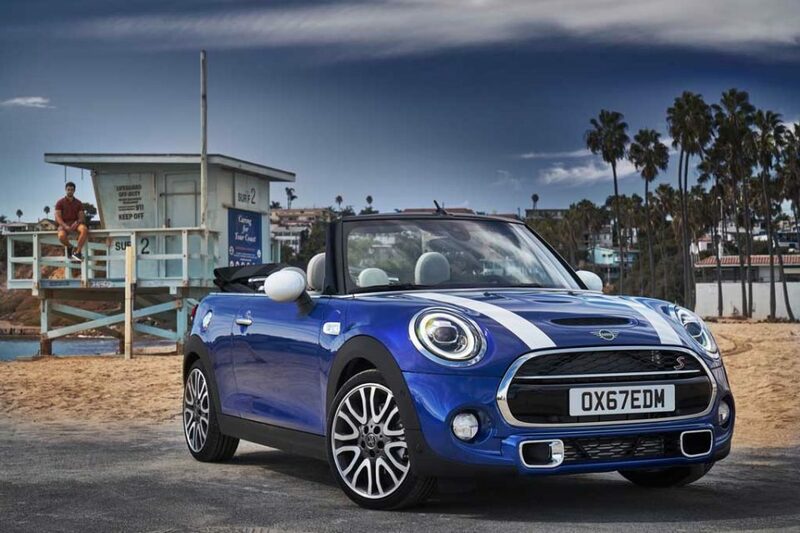 The new Cooper S and Cooper S convertible take power from a 2.0-litre turbocharged four-pot engine. 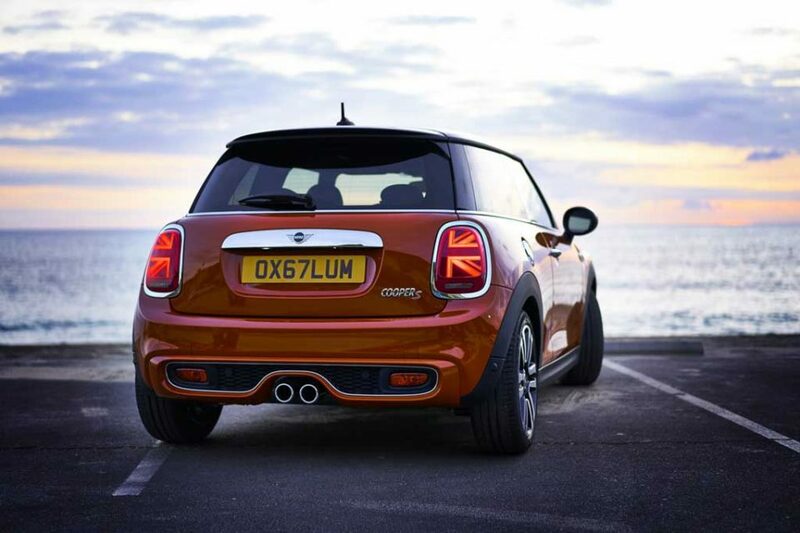 It is good enough to produce a maximum power output of 189 bhp and 280 Nm of peak torque. The diesel models derive power from a 1.5-litre three-cylinder engine that makes 112 bhp and 270 Nm and is coupled to a six-speed automatic transmission.